Take hair to new heights with the Grow Gorgeous Volumising Duo. The must-have hair pairing combines a body-building shampoo with a volume-enhancing leave-in conditioner to leave locks looking fuller and nourished. Enriched with Pea Peptides and a feather-light active micro-emulsion to smoothen and volumize hair's appearance, while effectively conditioning the scalp without weighing hair down. Hair is easily teased into shape with touch-to-style technology, making styling effortless. This lightweight serum-based conditioner combines Pea Peptides and Amino Acids to help plump the look of flat hair, while conditioning and adding shine. 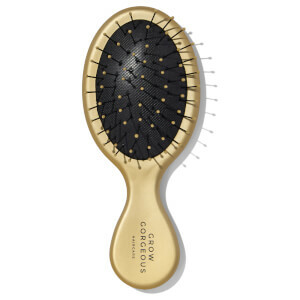 Hair is easily teased into shape with touch-to-style technology, making styling effortless. Shampoo: Wet hair thoroughly before applying a generous amount. Lather and massage from the scalp through to the ends. Rinse and follow with Grow Gorgeous Full Bodied Leave-In Conditioner for best results. Conditioner: After washing your hair with Full Bodied Shampoo, apply 3-5 pumps of the leave-in treatment (depending on the length and thickness of hair) to towel-dried hair. Rub it well between both hands and smooth through the whole length of hair. Blow-dry and style hair as normal. Wash hands after use.